See all Country Club Hills - for sale. See all Country Club Hills - sold. 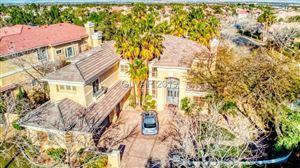 Country Club Hills is a guard gated Summerlin community comprised of 180 semi-custom residences built by renowned luxury home builder Christopher Homes. The homes feature a variety of floor plans ranging from 3,000 to 5,000 square feet. Residents enjoy tree-lined streets, a community park, and the lush beauty of the landscaped TPC golf course that wraps around this community. Secured by a second interior gate within Country Club Hills is The Enclave. 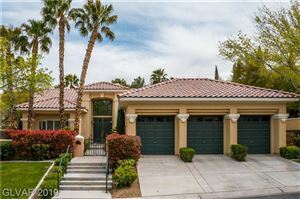 Home sites in The Enclave are each 1 to 3-acre golf course sites along the Tournament Players Club Summerlin, an 18-hole private golf course designed by Bobby Weed. The lush greens weave through a scenic desert landscape of arroyos and barrancas over several hundred acres. Named by Golf Digest magazine as “One of America’s Best Golf Courses” and by Nevada Business Magazine as the “#1 Private Golf Course in Nevada” (2006), TPC Summerlin and its championship layout continue to redefine the private golf club membership experience in Las Vegas. Country Club Hills is located near miles of biking and hiking trails, including the Red Rock Canyon National Conservation Area, as well as the exceptional shopping and entertainment of Boca Park and Tivoli Village.